They want to know what love is... and they want you to show them! Everyone loves a hero. Saving the day, vanquishing evil and basking in the glory of countless admirers are all perks heroes can enjoy. However, for every great hero, there is a villain. Often regarded as the very essence of evil, everyone is naturally expected to hate the villain – heaven forbid that you should admire or respect such a dastardly, dangerous individual. Nevertheless, there are some villains that you can’t help but love, secretly willing them on to succeed, hoping that for once their plan finally works out. Especially when they are misunderstood, mistreated and depicted in an unfair light, merely due to the fact they express different views to a hero who has the nerve to ruin their well thought out, no doubt, expensive plans. He may seem like a confident, happy-go lucky chap but don’t be fooled. 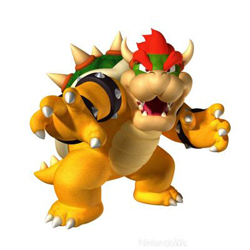 Bowser’s confidence must be completely destroyed. 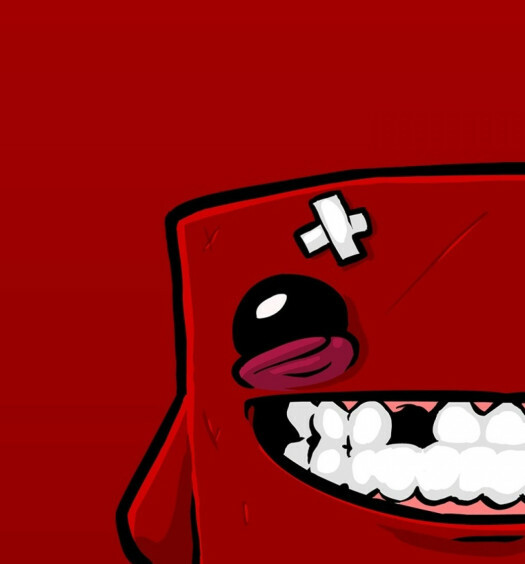 Somewhere, hidden behind those loving, intelligent beady eyes are the shattered dreams of a dinosaur with a big heart. Bowser is unlucky in love. He has made countless advances to win Princess Peach’s heart, romantically sweeping her off her feet on many occasions. What girl wouldn’t want to be flown away in an enchanted castle, or taken for a spin in a flying fortress? How about being provided the choice of countless castles to enjoy peaceful nights in? Unfortunately, Bowser’s courtship of Princess Peach is always ruined by a jealous, fat plumber who can’t match Bowser’s creativity or romantic spark. Shamefully, Bowser is cast aside, depicted as some sort of kidnapping monster – a hurtful and quite frankly ignorant statement. Undeterred, Bowser’s unwavering love for Peach will continue to burn like the warm, welcoming fire that stirs in his belly. Bowser is a shining example to romantics everywhere. 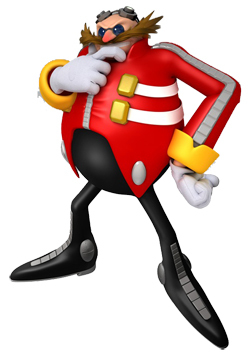 Dr. Robotnik (or Dr. Eggman as he is also known) is a remarkably clever man, boasting an IQ of 300. Like a jolly uncle, Dr. Robotnik is a wise, knowledgeable and friendly figure. When you’re as intellectually blessed as Dr. Robotnik, it should be expected that one may have a wider and greater vision for humanity than others. Dr. Robotnik decided that creating an ultimate utopia called ‘Robotnikland’ would be beneficial to everyone. And who are we to argue? Certainly, not a blue hedgehog whose only attribute is ridiculous speed. Refusing to give up and become frustrated, Dr. Robotnik perseveres in his dreams when others would not. Many would call him an evil genius but to me he’s good old, crazy uncle Nik. It can’t be easy growing up as a test tube baby. 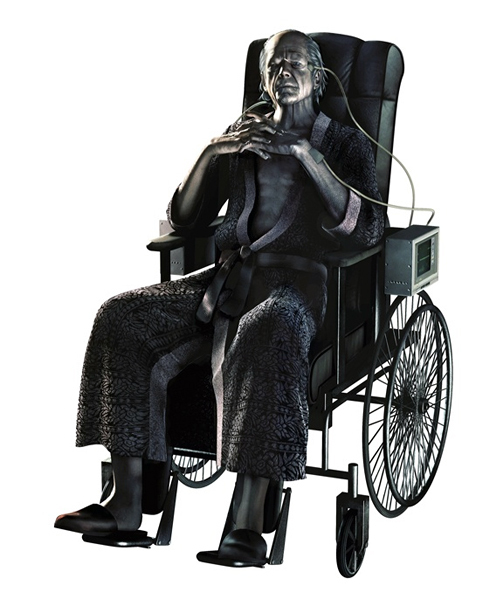 Genetically superior to your peers, forced down a path of destruction, life has been hard for dear old Wesker. We all know how the pressure of parents’ expectations can encourage us to explore certain ventures we may have previously dismissed, sometimes proceeding blindly, ultimately yearning for their approval and support. So, who can begrudge Albert Wesker for being the very best mutant freak that he could be? The mastermind behind his creation, Ozwell E Spencer, must have been the proudest scientist in all of the Umbrella Corporation. Albert is just like any one of us. A son, longing to be accepted and achieve the high expectations placed upon him. Maybe if Albert was given a hug once in a while, time to explore his own path, he might have started his own successful, non-lethal, pharmaceutical company. Please, don’t blame Albert Wesker… blame the parents. General M.Bison is a figure of strength. Bison is a leader of men, unwilling to accept anything less than the very best from his colleagues and competitors. Heralded as a psychopath fixated with taking over the world, Bison’s enthusiasm and entrepreneurial spirit is sadly overlooked. 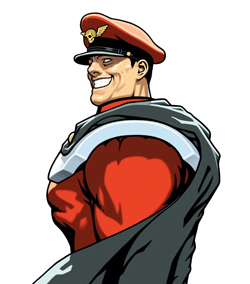 An example of this is the fact that by harnessing his own energy of Psycho Power, Bison has endeavoured to be more environmentally friendly than his competitors. By mastering the power of levitation, Bison’s carbon footprint is spectacularly low. High School isn’t always the all singing, all dancing fun-fare that Disney may have made it out to be. For some, High School can be a difficult and life changing experience. 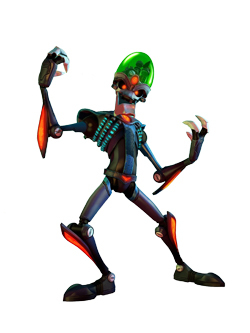 Unfortunately, Dr. Nefarious was the victim of bullying at the hands of Copernicus Qwark, a man who is now regarded as a hero of their galaxy. Constantly humiliated in the Biology class that they both shared, one can be forgiven for Dr.Nefarious developing a rather extreme dislike for anything biological. Although scarred from his horrendous experiences, Dr.Nefarious was determined to become a successful scientist, only to be shunned and once again ridiculed. Classed as an insane, evil, maniacal villain, ask yourself this: Who is the real victim here? 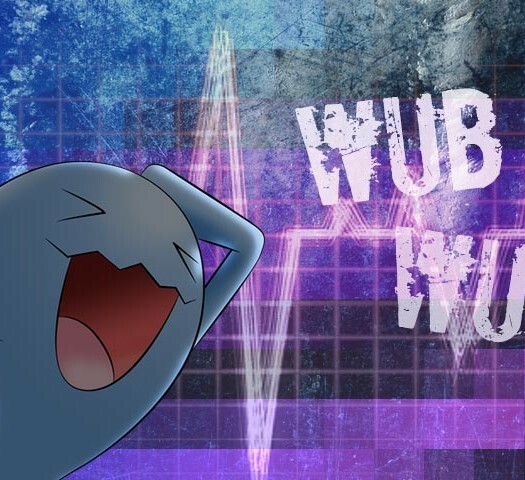 My heart goes out to Dr.Nefarious… children can be so cruel. When someone is trying to unlock your potential, attempting to help you achieve greatness, they can sometimes be unfairly depicted as controlling, bossy and over-the-top. It’s common knowledge that Tiger Woods’ father was a notoriously strict teacher and I’m sure that they may have shared a few crossed words from time to time. However, Tiger Woods has gone on to be one of the greatest golfers of all time thanks to his father’s tutelage. Jon Irenicus is Tiger Woods’ father. 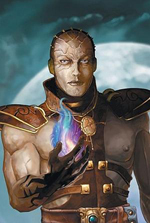 Pre-emptively judged as a man who takes pleasure in nothing more than torturing his prisoners, it soon becomes apparent that Jon Irenicus is in fact helping the Child of Bhaal (with bolts of lightning) to unlock their true power, to realise their true potential. I bet you feel pretty foolish now, don’t you? 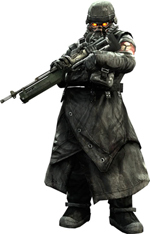 Not many people know the true story behind the war against the Helghast. Due to a nuclear war on earth, the Helghan Corporation (a big conglomerate on earth) decided to explore the galaxy in a desperate search for resources. They reached two planets which they named Helghan and Vetka. Helghan was rather inhabitable but had fantastic resources. Vekta was the complete opposite, a lush, human-friendly paradise. Things were pretty good for the people of the Helghan Corporation. However, the Helghan Corporation started charging high taxes for ships that entered their space. This went down badly with the United Colonial Nations (UCN) on earth who formed the Interplanetary Strategic Alliance (ISA), installing ISA troops on both Helghan and Vekta to stop the Helghans going overboard on their taxes. Needless to say, the dispute couldn’t be resolved and naturally the Helghan people tried to remove the interfering ISA troops. Due to their lack of training, they inevitably lost. So, what did the UCN do? They decided to colonise Vekta, a planet discovered and populated by the Helghan people. The Helghan people were unsurprisingly outraged and fought back which eventually resulted in a mass exodus of the Helghan people to the harsh, inhospitable wasteland that was planet Helghan. Forced to live in the horrendous conditions that planet Helghan’s atmosphere provided, the Helghan people were forced into a cruel evolution resulting in the need for masks to survive. The UCN meanwhile lived happily on Earth and Vekta. Pretty unfair, right? Therefore, the next time you’re thinking ‘Yeah, die you no good Helghast scum bag!’ spare a thought for your fellow Helghan brothers, for they were once human too. Were it not for a complete overreaction by the UCN, the Helghan people would never have been forced into living in such terrible conditions, banished from the paradise they discovered and inhabited, fuelled by feelings of hate and revenge. Poo, in every form, is generally very unlovable. It smells, it spreads disease, it’s messy. No one truly likes poo (unless your one of those sick wackos). However, there is one poo that everyone should be proud to call their own. One poo, that is so great, nay, so mighty, that it can be defined as the ultimate poo. 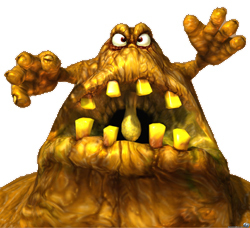 Blessed with an operatic voice that surpasses the late Pavarotti, the Great Mighty Poo is frequently shunned from the X Factor thanks to the fact he is a big, smelly poo – a complete injustice, I’m sure you’ll agree. Under the bright lights of the finest opera house, the Great Mighty Poo’s angelic voice would stink up the air, slowly being inhaled through the audience’s nostrils, settling forever in their hearts. Many may throw toilet roll at the warbling turd, but I can think of many singers today that are much more worthy of the title, ‘pile of crap’. There’s not much more to say about this cuddly, collection of circuit boards. 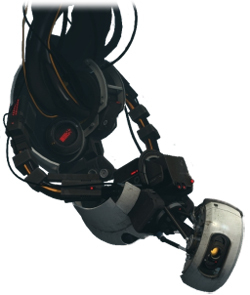 I think everyone can find a place in their heart for the loveable, eccentric machine that is GlaDOS. Her obsessive love of science puts Stephen Hawkins to shame. Refusing to hold a grudge, even when a hit was made on her life, GlaDOS‘ passion for science and a love of testing is infectious. GlaDOS’ dedication to testing is admirable and it’s her commitment that has allowed Aperture Science to remain number one in their field. Few bonds are stronger than the love between a mother and son. People say that certain individuals may have ‘a face that only a mother can love’, but what if your mother was a headless, extra-terrestrial ambiguous torso, suspended inside a giant test tube? A mother that you never even knew existed? 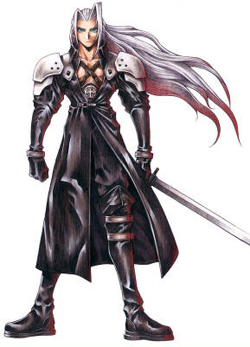 Sephiroth was top of his class at Shinra Inc, regarded as the very best soldier they had to offer. Life was good until he stumbled upon his estranged mother at one of the Shinra’s Mako reactors. Imagine finding out that you were in fact an experiment; a creation by your employer. It must have been pretty difficult for Sephiroth to swallow; I think the majority of people would be rather miffed. Reunited with his mother, Jenova, Sephiroth realised that Shinra had been destroying the environment by sucking out its very essence known as Mako. Like a supernatural member of Greenpeace, with mother in tow, Sephiroth sets out on the noble quest to save the planet. He may have killed a notoriously weak (why the hell did I spend all that time training her?!) character, but apart from that, he’s just a tree hugging, green fingered momma’s boy.